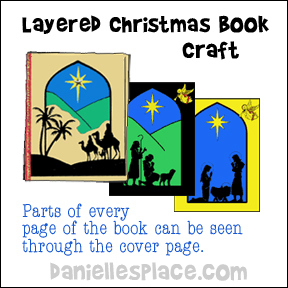 This layered Christmas book tells the story of Christmas with four biblical scenes: The wise men, the shepherds, angels (not shown), and Mary and Joseph with Baby Jesus. 1. Print out the patterns. 2. Print Pattern Page 1 onto tan paper and cut out the middle. 3. Print Pattern Page 2 onto green paper and cut out the middle. 4. Print Pattern Page 3 onto yellow paper. 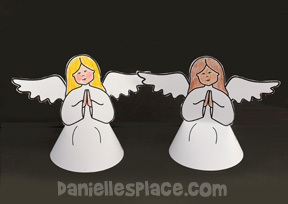 Cut out the middle, the star and the angels. 5. Print Pattern Page 4 onto dark blue paper. Use pattern Page 3 as a template to cut a frame from black paper. Glue the black frame on top of pattern Page 2. 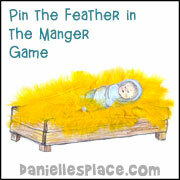 Glue the yellow angels from pattern Page 3 onto the top corners of the black frame. 6. Glue the yellow frame from pattern Page 3 on top of Pattern Page 4 (the blue page). Glue the yellow star in the center of the picture. 7. Place the pages together in order. Use a piece of card stock for the back cover. Staple the book together at the left side. Cut a one-inch strip of red paper and fold it in half long ways. Glue it onto the edge of the book to cover the staples. Cut a strip of gold trim and glue it on the edge. 8. 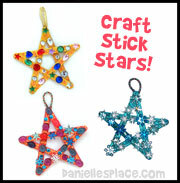 You can also glue a shiny star sequin in the center of the yellow star. 9. 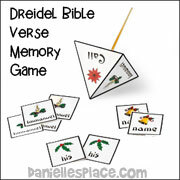 You can also use gel pens to write Bible verses on the bottom of each page to match the pictures. 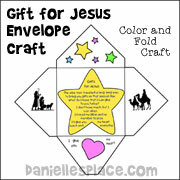 I used the layered Nativity card in my class week before. I had 6 yr. olds one very industrious 3 year old! They turned out beautiful! 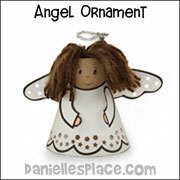 The parents were very impressed and kept them as keepsakes to put on their trees. 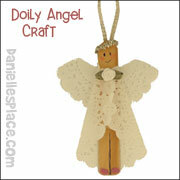 I did all the cutting ahead of time as it was too detailed for even the 6 year olds - especially the angels and star. 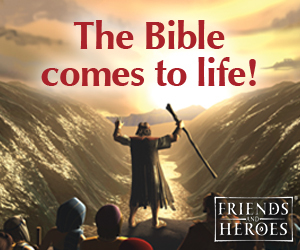 We left off the binding and trim on the edge of the book. We added glitter to the star. 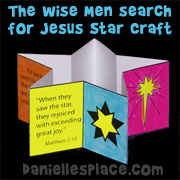 Since putting them together was not a very long craft we read a children's book on the birth of Christ. For less mess gluing, I put the liquid glue on a scrap of card stock and have a big box of q-tips for the children to spread the glue. Works great - we can't afford the glue sticks. 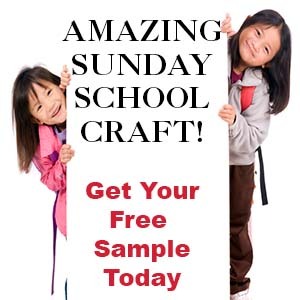 Thanks for a great craft. 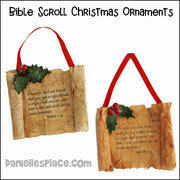 These large ornaments, 7.5" x 7.5", are great for bulletin board displays and make beautiful Christmas decorations. 2. Cut out the patterns and color them. 3. 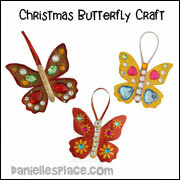 Glue on string to hang them and decorate them with snowflake confetti or snowflakes cut with a snowflake paper punch, glitter, ribbon and bows. 4. 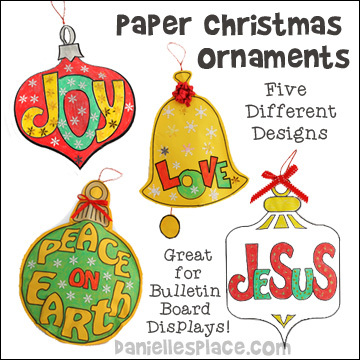 You can also make the ornaments 3D by gluing two ornament shapes together around the sides and stuffing them with crinkled up grocery bags. 1. To make the angel body flatten out a cupcake liner and then fold in one side about one inch. Fold over the other side about one inch starting at the top of the fold of the other side so that it is overlapping the other side. 2. 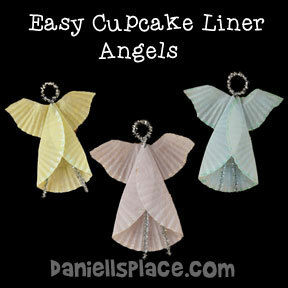 To make the angel wings flatten out another cupcake liner, fold it in half, and cut the halves apart. Shape the wings by cutting a dip out of the center of the half as shown in the diagram. 3. To make the head and legs wind a Chenille stem around the end of a marker and twist it to fit on the marker. Remove it from the marker. 4. Bring the two ends of the Chenille stem together making a loop. Twist the ends together about one inch below the first twist. Place the twisted Chenille stem inside the folded cupcake liner body piece and glue it to the liner. 5. 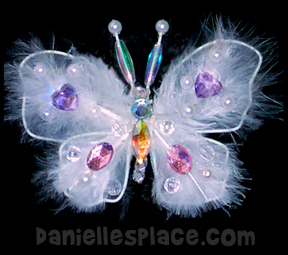 To finish glue the wings to the back of the body. 1. 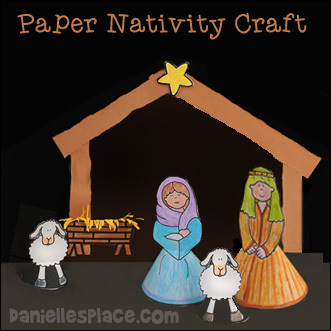 Print out the pattern onto yellow paper or if you are going to make copies print it out onto white paper. 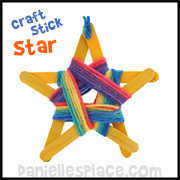 If you don't have a lot of time in class paint the craft sticks ahead of time. 2. Cut out the patterns. 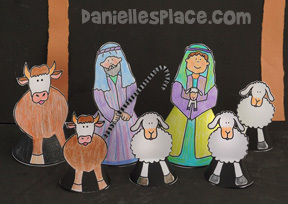 In class have the children glue the craft sticks on the pattern starting on the sides first and then the roof and bottom. 3. 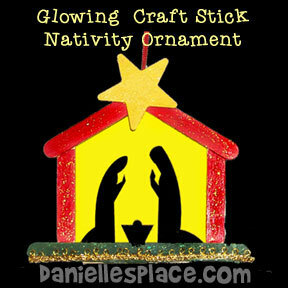 To finish, glue a star and red string to hang the ornament to the top. Let the children 3. When everything is glued together show the children how to paint oil onto the back of the picture and wipe off the excess oil. You can use cooking oil or baby oil. This will make the yellow background slightly transparent. 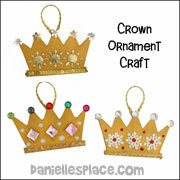 Decorate the ornament with glitter glue and decorative items such as ribbon and beads. 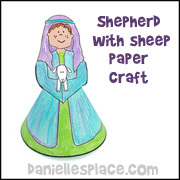 This craft goes with the Sunday School Lesson The Shepherds Tell About Jesus' Birth on The Resource Room. 1. 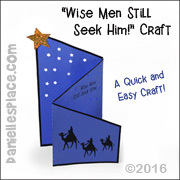 Print out the patterns onto card stock. 2. 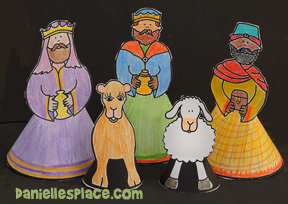 Color the figures and cut them out. 3. Cut along the back of the arms down to the elbows on each figure and then bring the sides around overlapping them in the back and tape them together. Do the same for the animals except cut down along the side of their bodies. 4. 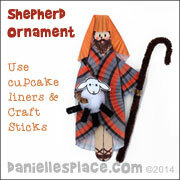 To make the shepherd cut a slit above and below his arm with and Exacto knife. 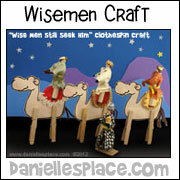 Shape a half piece of pipe cleaner into a staff and insert it into the slits so it looks like he is holding the staff.